I love the premise of this series – The Hangover Regency-style – and the first two books in the series were great reads, I feel like the forward motion now stalls with The Duke Diaries. Rory and Verity’s elder brother, the Duke of Candover, have some serious bad history with Candover’s deceased fiancee and pretty much loathe each other. Verity doesn’t want to get married (there are lots of reasons thrown up why she won’t/can’t/etc). And then Verity’s diaries – a sort-of tell-all set of volumes where she recorded the exploits of her brother and the other dukes of the Royal Entourage for her own amusement and inexplicably totes them around with her everywhere – are stolen and published in installments in the news-sheets. It just goes around and around with a brief glimpse at Esme and Norwich from book 2 (the books are running concurrently) but never really goes. And then there’s the odd, unexplained Sussex/Verity’s ex-companion plotline…. Well, I still want to read the next book since we are more-or-less guaranteed to see Isabelle, the Duchess of March, matched with His Grumpiness the Duke of Candover (the groom whose bachelor party to end all bachelor parties ended with standing-up his bitchy (according to his sisters) bride and touching off the series). 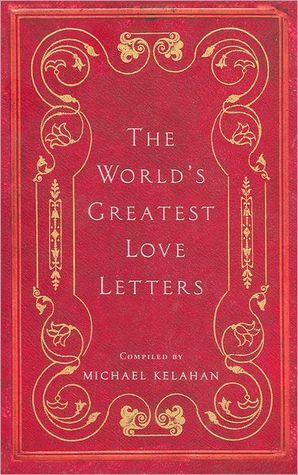 The World’s Greatest Love Letters edited by Michael Kelahan was a little(-ish) book I snagged in the bargain bin for Valentine’s Day. It was a quick read. Only the letters are arranged by subject, which seems really subjective, with no biographical information about the writers or recipients. Which made the reading difficult (and I consider myself decently well-informed regarding British historical figures but Wikipedia only does so much). It also seemed really narrow focus – hetero British exchanges. Readers of Williams’s iconic and unconventional memoir, Refuge, well remember that mother. She was one of a large Mormon clan in northern Utah who developed cancer as a result of the nuclear testing in nearby Nevada. It was a shock to Williams to discover that her mother had kept journals. But not as much of a shock as what she found when the time came to read them. I honestly can’t give a review of When Women Were Birds that is anything but OMIGODYOUMUSTBUYANDREADTHISNOWNOWNOWNOW. The description on the flap copy gave me goosebumps and I sat down to read this in one sitting. Then I read it over again. Everyone has to read this. Every. One. The actual sentence-level writing is the absolute best I’ve read in a long time, a master-class in narrative non-fiction. 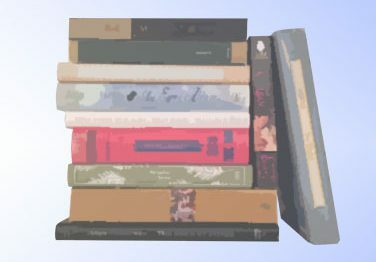 Some of the variations are biographical (the grandmother who shared her love of birdwatching), some are autobiographical (Williams’s remembrance of teaching school or developing conservation efforts), and some really defy definition. A poetic essay? Memoir? Philosophical musings on the choice her mother made to secretly break with the tradition of keeping a diary? Collected together they create beauty. 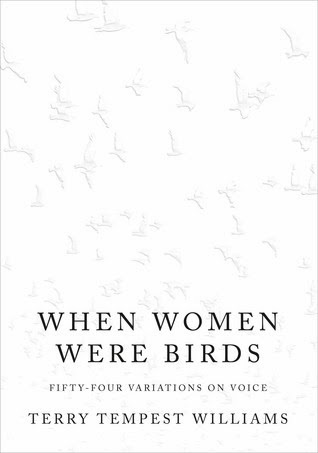 When Women Were Birds is a book I will come back to again and again at different points in my life. The paperback edition, newly released, is my staff rec and I’ve been chasing customers and booksellers alike, pressing it upon them. Voice, choice, and memory. Mind-blowing. Dear FTC: This is my copy that I bought and love and in an amazing twist of fate sent with a friend to Terry Tempest Williams’s reading at Prairie Lights were she inscribed it to me. For Mary Russell and her husband, Sherlock Holmes, returning to the Sussex coast after seven months abroad was especially sweet. There was even a mystery to solve – the unexplained disappearance of an entire colony of bees from one of Holmes’s beloved hives. But the anticipated sweetness of their homecoming is quickly tempered by a galling memory from the past. Mary had met Damian Adler only once before, when the surrealist painter had been charged with – and exonerated from – murder. Now the troubled young man is enlisting the Holmeses’ help again, this time in a desperate search for his missing wife and child. Mary has often observed that there are many kinds of madness, and before this case yields its shattering solution she’ll come into dangerous contact with a fair number of them. From suicides at Stonehenge to the dark secrets of a young woman’s past on the streets of Shanghai, Mary will find herself on the trail of a killer more dangerous than any she’s ever faced – a killer Sherlock Holmes himself may be protecting for reasons near and dear to his heart. 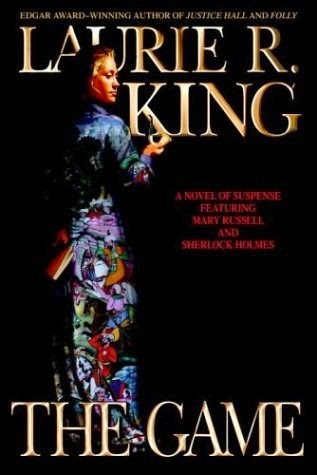 In Laurie R. King’s latest Mary Russell–Sherlock Holmes mystery, the acclaimed New York Times bestselling author delivers a thriller of ingenious surprises and unrelenting suspense – as the famous husband and wife sleuths are pursued by a killer immune from the sting of justice. It began as a problem in one of Holmes’ beloved beehives, led to a murderous cult, and ended – or so they’d hoped – with a daring escape from a sacrificial altar. Instead, Mary Russell and her husband, Sherlock Holmes, have stirred the wrath and the limitless resources of those they’ve thwarted. Now they are separated and on the run, wanted by the police, and pursued across the Continent by a ruthless enemy with powerful connections. Unstoppable together, Russell and Holmes will have to survive this time apart, maintaining tenuous contact only by means of coded messages and cryptic notes. With Holmes’ young granddaughter in her safekeeping, Russell will have to call on instincts she didn’t know she had. But has the couple already made a fatal mistake by separating, making themselves easier targets for the shadowy government agents sent to silence them? From hidden rooms in London shops and rustic forest cabins to rickety planes over Scotland and boats on the frozen North Sea, Russell and Holmes work their way back to each other while uncovering answers to a mystery that will take both of them to solve. A hermit with a mysterious past and a beautiful young female doctor with a secret, a cruelly scarred flyer and an obsessed man of the cloth, Holmes’ brother, Mycroft, and an Intelligence agent who knows too much: Everyone Russell and Holmes meet could either speed their safe reunion or betray them to their enemies – in the most complex, shocking, and deeply personal case of their career. 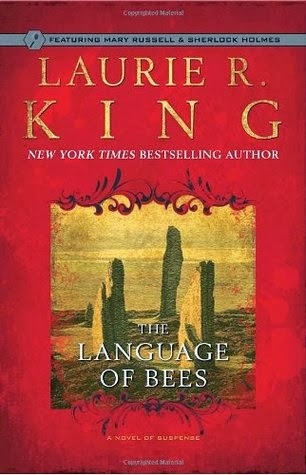 Well, I have to put The Language of Bees and The God of the Hive together because The Language of Bees is the first of the Russell/Holmes books to end with an actual cliff-hanger and I couldn’t wait to get back to the library to pick up The God of the Hive. These two entries in the series are crazy and veer all over England to sort out why and how Damian’s wife and daughter have disappeared. 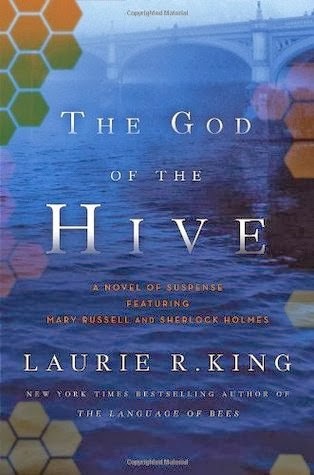 Unfortunately, the separation of Mary and Holmes in The God of the Hive takes away one thing I absolutely love in this series – the interplay between the two characters; keeping them apart for so much of the book actually pulls the plot down but it picks back up when they come together. There’s a strange perspective change to that of a bird in the cemetery that feels really forced. I did love how disillusioned Mary becomes with Mycroft…and she has grounds, believe me (cf. The Game). I might be on series burn-out so I’m going to take a break from Mary and Holmes. Dear FTC: I borrowed these from the library. 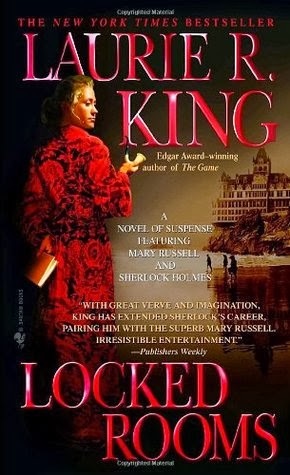 Mary Russell and her husband Sherlock Holmes are back in Laurie R. King’s highly acclaimed New York Times bestselling mystery series. And this time the first couple of detection pair up to unlock the buried memory of a shocking crime with the power to kill again–lost somewhere in Russell’s own past. After departing Bombay by ship, Mary Russell and her husband Sherlock Holmes are en route to the bustling modern city of San Francisco. There, Mary will settle some legal affairs surrounding the inheritance of her family’s old estate. But the closer they get to port, the more Mary finds herself prey to troubling dreams and irrational behavior–a point not lost on Holmes, much to Russell’s annoyance. In 1906, when Mary was six, San Francisco was devastated by an earthquake and a raging fire that reduced the city to rubble. For years, Mary has denied any memory of the catastrophe that for days turned the fabled streets into hell on earth. But Holmes suspects that some hidden trauma connected with the “unforgettable” catastrophe may be the real culprit responsible for Mary’s memory lapse. And no sooner do they begin to familiarize themselves with the particulars of the Russell estate than it becomes apparent that whatever unpleasantness Mary has forgotten, it hasn’t forgotten her. Why does her father’s will forbid access to the house except in the presence of immediate family? Why did someone break in, then take nothing of any value? And why is Russell herself targeted for assassination? The more questions they ask of Mary’s past, the more people from that past turn out to have died violent, unexplained deaths. Now, with the aid of a hard-boiled young detective and crime writer named Hammett, Russell and Holmes find themselves embroiled in a mystery that leads them through the winding streets of Chinatown to the unspoken secrets of a parent’s marriage and the tragic car “accident” that a fourteen-year-old Mary alone survived–an accident that may not have been an accident at all. What Russell is about to discover is that even a forgotten past never dies…and it can kill again. Going straight on to book eight, we pick up right after The Game left off. I seriously started to worry about Mary and Holmes’s relationship because Mary almost goes off the rails by simply being in San Francisco. Great plot twists and there’s an interesting perspective switch partway through the book. Loved how Dashiell Hammett was brought in as a character and colleague. It’s only the second day of 1924, but Mary Russell and her husband, Sherlock Holmes, find themselves embroiled in intrigue. It starts with a New Year’s visit from Holmes’s brother Mycroft, who comes bearing a strange package containing the papers of an English spy named Kimball O’Hara—the same Kimball known to the world through Kipling’s famed Kim. Inexplicably, O’Hara withdrew from the “Great Game” of espionage and now he has just as inexplicably disappeared. When Russell discovers Holmes’s own secret friendship with the spy, she knows the die is cast: she will accompany her husband to India to search for the missing operative. But Russell soon learns that in this faraway and exotic land, it’s often impossible to tell friend from foe—and that some games aren’t played for fun but for the highest stakes of all…life and death. After the intimacy of the characters in O Jerusalem and Justice Hall this entry in the Russell/Homes series was something of a let-down for me. The characterization of the setting wasn’t as rich, parts of the plot felt forced, and Sunny Goodheart’s character was really annoying. Maybe if I’d put more space between this and Justice Hall it would have read better for me. Also: poor Holmes, he does like to brush Mary’s hair. At her friend Ivy’s behest, Emily reluctantly agrees to attend a party at the sprawling English country estate of Lord Fortescue, a man she finds as odious as he is powerful. But if Emily is expecting Lord Fortescue to be the greatest of her problems, she is wrong. Her host has also invited Kristiana von Lange, an Austrian countess who was once linked romantically with Emily’s fiancé, the debonair Colin Hargreaves. What Emily believes will be a tedious evening turns deadly when Fortescue is found murdered, and his protégé, Robert Brandon—Ivy’s husband—is arrested for the crime. 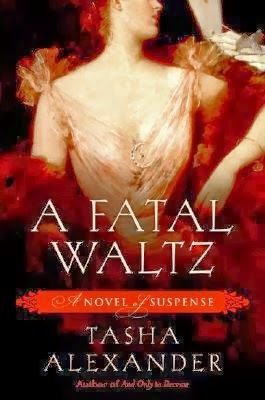 Determined to right this terrible wrong and clear Robert’s name, Emily begins to dig for answers, a quest that will lead her from London’s glittering ballrooms to Vienna’s sordid backstreets. Not until she engages a notorious anarchist in a game of wits does the shocking truth begin to emerge: the price of exonerating Robert can be paid only by placing Colin in deadly peril. To save her fiancé, Emily must do the unthinkable: bargain with her nemesis, the Countess von Lange. So I wanted to strangle Emily a bit in this book for all her internal quibbling over whether Colin was going to run off with the Countess – it was obvious that Colin was smarter than that and that he was madly in love with Emily. So that was a sticking point. 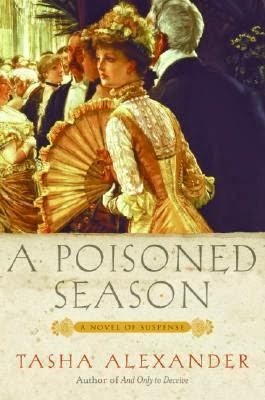 Other than making Emily a bit of a ninny of a man (this after she pretty much makes it clear that she was going to stand up to Lord Fortescue – which, in hindsight, did give her a motive that only she knew about), this was a fun mystery with a lovely section set in Vienna. The Empress Elisabeth (Sissi) is a character and Tasha Alexander renders her beautifully (this takes place after the tragedy of Mayerling). Going to Vienna had the added bonus of getting Emily away from her crazy mother (even if she did take the annoying Bainbridge with her). Now, I have to go find the Emily and Colin wedding scene floating around on the Internet before reading book four. Dear FTC: I bought a copy of this book on my Nook. Coming back to Lady Emily, I was delighted to find that her second mystery is more streamlined than the first. Emily is determined to be her own person – she and Colin Hargreaves seem to be progressing in their romance but she won’t be bullied into marriage (by her social-climbing mother) or deterred from intellectual pursuits. Although Colin is a master spy, Emily doesn’t expect him to swoop in and rescue her when her investigations become dangerous. Very enjoyable. Dear FTC: I read a copy purchased on my Nook.